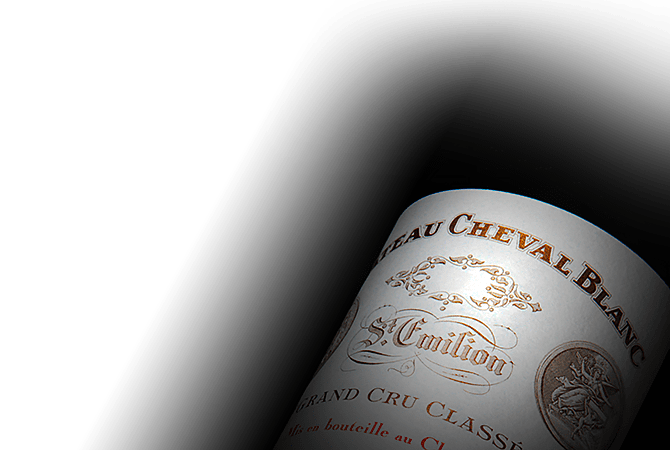 Known all over the world, Château Cheval Blanc, a First Classified Growth A, is one of the legendary wines of the Right Bank of the Bordeaux region. Cheval Blanc benefits from a unique and rare terroir that enjoys a special position on the Saint-Émilion plateau. Though Saint-Émilion is known for its limestone formations, Château Cheval Blanc is located on the L'Isle Quaternary alluvial deposits, a non-calcareous formation with varying texture that is a combination of gravel and clay in about the same proportion. These particular soils benefit Cheval Blanc, and are similar to those of the greatest Pomerol wines. The existence of vines at Château Cheval Blanc first appears in writings dating back to the 15th century. The estate entered a new era from 1832 when Jean-Jacques Ducasse, President of the Court of Libourne, acquired the property and bought parcels attached to Château Figeac. The marriage between Henriette Ducasse, the daughter of Jean-Jacques Ducasse, and Jean Laussac-Fourcaud, a wine merchant from Libourne, marked the beginning of the modernization of the estate, which include building a network of walled and covered drains. It also lead to a revolution in the vineyard that resulted in the decision to define the varieties grown in the Cheval Blanc vineyard, which combines 50% Merlot, the grape variety of the Right Bank par excellence, and 50% Cabernet Franc. "The old wine of Figeac" was then first sold under the name of Cheval Blanc in 1852. After it obtained its first gold medal at the Paris Universal Exhibition in 1878, Château Cheval Blanc obtained its highest recognition as a Classified Growth among Saint-Émilion wines in 1954 as a First Classified Growth A. A vineyard with almost the same dimensions to the one from 1871, the Château Cheval Blanc estate consists of an exceptional and unique vineyard in Saint-Émilion. The 39-hectare vineyard is further divided into 45 plots, and has vines with an average age of 42 years. Testifying to a great aromatic expression and a rare complexity, the wines of Cheval Blanc have a great power on the palate softened by the velvety structure of voluptuous tannins. An exceptional wine, Château Cheval Blanc has a unique ability to be appreciated in its youth by revealing all its expression while presenting a great capacity for aging for up to nearly a century. As the Second Wine of the property, Petit Cheval Rouge offers a superb introduction to the excellence of Cheval Blanc. It is a racy wine that is powerful on the palate with punchy and greedy fruit. With a new winery designed by Christian de Portzamparc and inaugurated in June 2011, Château Cheval Blanc continues to produce some of the most legendary wines of Bordeaux.